Why consider alternatives to payday loans? Where payday loans are involved, so too is credit score. Even if loans are paid on time with no problems, you could encounter instances in the future where a credit provider sees that you have taken out a payday loan, and refuses to do business with you. They may view it as you being unable to correctly manage your finances, so you should therefore not be trusted with things such as mortgages. Should you fail to repay your loan before its deadline, this would be much more disastrous for your future attempts to get credit. This further supports the view that you should look for alternatives to payday loans. Borrowing money is something that most people will need to do at some stage in their life. It is very important to evaluate the other options available to you, because a payday loan might not be best for your specific situation. Remember, payday loans should not be used as long-term solutions. Sorted in order, with the lowest APR charge at the top, the following are alternative borrowing products for those aged 18 and above (it is illegal in the UK to lend money to minors). Normally a fixed amount, e.g. £1,000, borrowed for an agreed length of time. Instalments are paid each month until the full amount has been repaid at the end of the time period. With your bank’s permission, you could withdraw more money from your account than you have in it. This is seen as a very short-term option, with your next income being reduced accordingly to settle the debt. Some banks can offer this option interest-free. 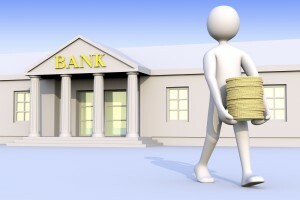 However, going overdrawn without your bank’s permission can result in high charges. A card which is used to buy items, this money does not come from your bank account, it comes from the card issuer. At the end of the month, you receive a statement showing your borrowing. You then either pay back the full balance, or 5 per cent of it (the balance is how much you spent). Not paying the whole balance results in being charged interest on the balance remaining on the card, which is then added on to the next month’s statement. Choosing to only pay off 5 per cent each time means it takes much longer, and costs more, to repay the loan. These are small financial organisations, which were created by their members to support their local communities. Typically offering small loans of £3,000 or less, they are normally much cheaper than payday loans. Legally they cannot charge members more than 2 per cent per month (26.8 per cent APR). These are very similar to credit cards, but can only be used in certain stores which belong to the same group. Normally, they have a higher APR, and so are therefore more expensive than credit cards.